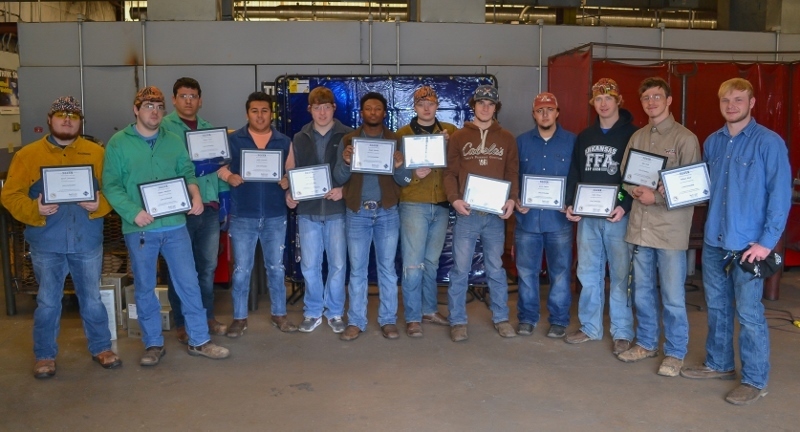 Students from Crossett and Hamburg High Schools recently received core curriculum certification by the National Center for Construction Education & Research (NCCER) after completing a series of welding classes at the UAM College of Technology-Crossett. Students completing the program received concurrent high school and college credit. NCCER certification means the students will be placed on a national registry used by employers to verify training of individuals applying for employment with their companies.